Better faster patient results are now available to the Bedford and Altoona areas! Dr. Darryl Warner at Warner Chiropractic of Everett and Altoona adds a 30 Watt High Powered Laser to his list of treatment tools! This High Dosage laser produces a high level of laser photons which helps the body heal at a much faster rate than normal. 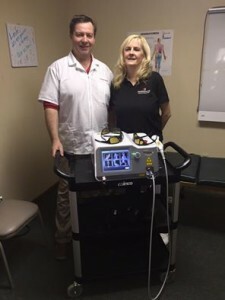 Congratulations to Warner Chiropractic on their newest equipment investment. Better faster patient results are now available to the Bedford and Altoona areas! Thank you for your business! https://bryanne.com/wp-content/uploads/2014/04/bryanne-logo.png 0 0 Lori Klink https://bryanne.com/wp-content/uploads/2014/04/bryanne-logo.png Lori Klink2016-03-22 18:15:542016-03-22 18:15:54Better faster patient results are now available to the Bedford and Altoona areas!